You are here: Home / Is God a murderer? This post continues to (re)summarize my proposal about how to understand the violence of God in the Old Testament. 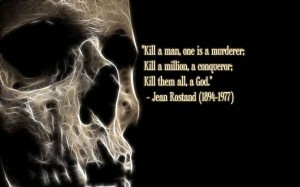 One truth which Jesus revealed to the world is that the violent murderer of world history is not God, but the devil. Not only is the devil involved in some way or another with all the violence and murder in the world, but the devil then lies about it to humanity and gets us to blame God for what was done. What is most surprising is how little we recognize violence as the devil’s work, and instead attribute most violence to God. One of the primary lies of the devil is that God is a murderer. The devil commits violence, and get us to say “God did it. It’s God’s fault.” From the very beginning, this is the lie that he tells. This was the lie of the serpent to Eve when the serpent asked her why God would put a tree in the garden from which she could not eat, or even touch. Aside from misquoting what God had said and raising doubt in Eve’s mind about the Word of God, the serpent was implying that whatever Eve did about the fruit, it was God’s fault for putting the tree there in the first place. After Adam and Eve had eaten of the fruit, Adam proved that he was a quick learner. 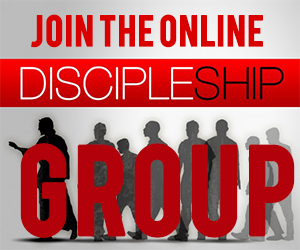 When God asked Adam why he had eaten the fruit, he too blamed God “The woman whom you gave to be with me …” (Gen 3:12). Adam not only blamed Eve; He blamed God because God had given the woman to Adam. So you see? It was God’s fault again. Such satanic laying of blame upon God continues in the rest of Genesis and throughout the Old Testament. It is not God, but Satan, who is the god of violence (Girard, The One by Whom Scandal Comes, 55), and the original lie of Satan was that everything done in God’s creation was God’s fault and could be blamed upon God. But when we get to the Gospels, Jesus reveals what we should have known all along, that it is not God who is the murderer, but the devil. The original lie is that everything bad is God’s fault. When we do evil, we blame God. When evil happens to us, we blame God. When evil happens to others, we blame God. This blame game is something we learned from the devil since the very first human sin. The devil carries out the murders and lies about it, and as subjects to the god of this world, we follow in Adam’s footsteps and learn to blame God as well for the evil we do. 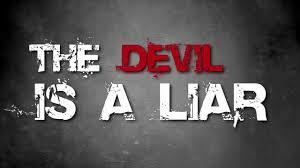 Jesus shows this in numerous places in the Gospels, but one of the clearest is in John 8:44 where Jesus explains that the devil “was a murderer from the beginning, not holding to the truth, for there is no truth in him … he is a liar and the father of lies” (NIV). One of the primary lies the devil tells is the lie about the origin and source of violence. The devil wants us to believe that God is at fault, that the bad things which happen in this world are because God is mad at us, hates us, and is out for bloody revenge. But in fact, the devil himself is largely responsible for much of the violence that happens in the world, and he loves nothing more than to carry out that violence and then frame God for it. Case in point: the new NOAH movie had that message undertone. God wanted to commit genocide, including Noah and his family. I haven’t seen it, so cannot say. I will watch it when it comes to DVD. I discovered your blog the day before yesterday. I ran across your legalists are worst than sinners post first, and it spiraled out from there. I agreed with you on that post and many others. I’m not sure I agree with you about everything, but your views are similar enough to mine that I’m having fun slowly reading through the archives, getting ideas and considering your theology. If you start suggesting the Old Testament has parables in it, then what is a parable and what isn’t? Why is killing off every man, child, and goat a parable, but not David and Goliath? And why should the OT have parables in it, and some of the things Jesus did NOT be a parable? I don’t think the OT God conflicts with the NT God, because He was always willing to be merciful to those who repented — and never willing to be merciful to those that didn’t. He forgave endlessly in many instances, but also dealt out consequences and punishment. He will do it again at the end, when instead of killing off people in a great flood, He’ll cast them into hell. If you start doubting God as also being a God capable of judgment and wrath, the entire necessity of Christ starts unraveling. If there is no wrath and judgment, there is no hell, and we have no need of Jesus. I know that’s not your intention, but in the Rob Bell/Love Wins aftermath, that’s what it might look like from the outside. Thank you for the kind comment. You know, I never read that Rob Bell book, so am not sure what it was he argued for. Anyway, I am not saying that the OT contains parables. I think it contains accurate history, but that we need to interpret this history in light of Jesus Christ, and especially Jesus on the cross. I agree that there can be no conflict between God and Jesus. As for why Jesus went to the cross, I try to explain why in the previous posts, that it was to defeat sin, death, and the devil. I took the survey, Jeremy, but to reiterate here–please continue with this series! I haven’t seen the movie yet. Will probably wait for the DVD. But I imagine that this is the direction they took. There is a great scene when Noah tells God he can only get ten people, by cheating. I need to make a correction. I didn’t watch the movie released this yearnamed Noah on Youtube. Instead I watched a movie of the same name releasedmore than a decade ago, and to which the uploader had used a still from the current movie, as the displayed image. All that said, the movie released this year can be found on youtube, but it is not gratis. Your comments might have dropped off, but the interest hasn’t. You’re addressing from a hundred different angles a question every parent has to answer: why does the OT sanction violence but we don’t? 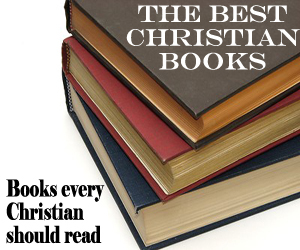 We might not agree with everything you’ve written, but it’s all thought provoking. Thanks, Cathy. I think I will keep it up regardless. I don’t write for the comment anyway, and I need to study this. You’re getting warmer! I think there is little doubt that Satan is behind the violence. Is that not the message of Job? Then why do we move on to the stories that depict warfare, violence, deaths and the like and interpret those passages to mean that God did it? I submit that our problem is not what the Old Testament says, but what we suppose it says, what we’ve been told it says, what we “interpret” it to say. I understand that this is scary territory for some. 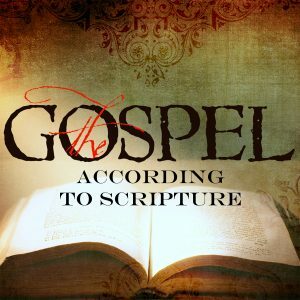 If we have not understood those stories aright, then might there be passages elsewhere in the pages of “Holy Scripture” whose interpretation we have depended upon from others, others who may have their own agendas for interpreting Scripture as they do? Do we approach Scripture without presuppositions as to what it is telling us? Do we approach without our own agendas? “Surely Scripture must say this, and surely it cannot say that.” Why and why not? We have routinely rejected the thinking of previous generations on many things. Why should our understanding of Scripture be bound by their thinking? 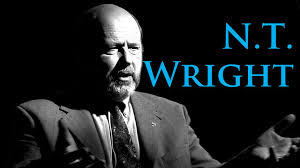 Were they correct in all things, some things, or in few things? May the theologians and Bible expositors make an illustrious career of exploring the possibilities. 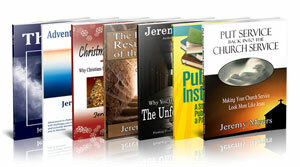 What makes the Bible such a great book is that it shows the truth about humanity, the evil that sin creates and the truth that the devil is a liar and as Jeremy has stated , has always laid the blame on GOD, but , myself being a fairly new Christian, know that we cannot pull certain verses or stories from the Bible to try and understand what GOD is doing,(and I also know that you and your readers know this but I’m saying it anyway) it’s history,HIS Story, and when taken as a whole we can see HIS plan laid out, from creation to the cross and then throughout eternity, GOD is good and gracious to ALL!!!! (2 Peter 3:8,9 ). Non believers wont even try to, can’t understand this without GOD’s Holy Spirit moving in them. GOD tells the story, HE doesn’t try to explain HIS actions, believe it or not, it’s written for our good and HIS glory. That’s just my 2 cents worth. Yeah, I feel like I’m chasing a butterfly on a foggy day. I hope to get to some sort of conclusion on this, but some days, I doubt I will. Great post Jeremy. 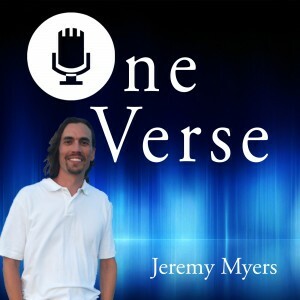 Another thought to throw in the mix: a friend of mine is an OT prof, and having chatted with him about God and violence in the OT, he said it could be because if God wasn’t authorizing warfare, then Israel would have rejected Him because it was preposterous for a god to NOT be like that in their culture. So I suppose the idea is, God has to act accordingly because if He’s rejected then Jesus never shows up down the road. That’s an interesting view. I think I mentioned something similar when I surveyed the various views, but I only had a few books to reference for each view. Did your prof recommend a book on the subject with this perspective? No book that I know of…if I recall, he said it came from conversations with colleagues. Well I do believe satan is a huge part of the equation (& should bare a vast majority of the blame for ‘violence’ in the OT). I also think that choice is a big part of the mix. As I previously commented, I believe much of God’s ‘violent’ reaction is simply judgement. To use the NOAH reference, God gave three great warnings to the pre-flood world. 1st the flaming angel at the entrance to Eden, implying ‘repent judgement will fall’. Then Enoch was taken out-had to make people think-because he was closer to God. And finally Methuselah, whose very name was prophetic meaning, ‘when I’m gone you are too’ (not a perfect translation). God’s flood was not violence but judgement, as for at least 969 years they were warned. I was taught the angels guarding the tree of life were mercy, not judgment. God did not want Adam and Eve to live forever in an unredeemed state. I’m grateful for your posts. Don’t stop! First of all, many times I’m considering an idea and I’ve found through my search for truths in scripture, the Spirit always reaffirms, in a timely manner, my ponderings through another person in either in a sermon, another writing, or an unexpected source. I can see the two understandings of God in the Old Testament. Ancient cultures believed in many gods that were vengeful or giving. Even though descendants of Abraham were monoththeistic, it doesn’t mean that their belief of God was always a merciful and a forgiving God. They most likely tied in their belief of YHWH as both because of cultures around them and, of course, they did not have the person of Jesus Christ to compare their beliefs, in this matter. As we all know, there are consequences to our decisions. People like to blame God instead of taking ownership. I can see that happening in the OT, also. I often wonder as they came to offer sacrifices, how much in their heart did they believe that doing that performing this action actually forgave them or was it just a ritual for them. I know today that our rituals become stale. True worship is impacted by our state of mind and what’s happening in our lives for that moment. I can agree that YHWH was perceived in both ways and was written that way. We’re studying the book of Job in our bible group. It starts out with Satan challenging God. God permits Job’s suffering. One reason may be, God knows Job’s heart. And even though Job goes through so many feelings in his destitute state, his heart is still on God and the redeemer who will come to set things right. We cannot rightly interpret any scripture without the OT teachings. We need some fundamentals to attach our life to, but those fundamentals are cleansed by Christ’s actions on the cross. There are after effects of poor choices and both old and new testaments testify to that. And we live in a fallen world, not only spiritually but physically, as well. Murder, theft, abuse, tornadoes, floods, earthquakes etc. abound not because God wants them to, but because of our fragile humanity and original sin, which we all share in our arrogant nature. We were given free will and that’s a blessing, but sometimes we’ve made it a curse onto our selves. Good points. We certainly need the OT context to interpret and understand the NT. 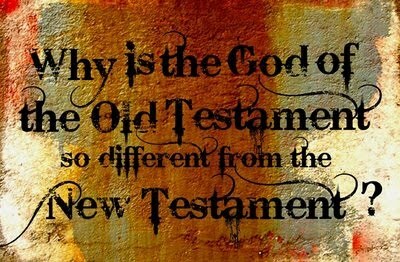 I think that somehow, now that Jesus has fully revealed God to us, we can use the NT to help us understand the OT also. Jeremy all your post are fantastic, your views are coming from your sincere heart of wanting to dig deeper into truth and I appreciate that very much. I don’t comment much simply because I’m not a good speller and really don’t have much learning in grammar and stuff. Keep it coming brother man! It’s fine. Thanks Santos. I appreciate the readers, and I need to write these posts for my own sake, even if no body comments. Thanks for reading! Who made the Devil? If God did this and if he is all knowing, would this not be enough to put the blame on God for all the violence, or simple does it not just mean he created evil to exist and then everything is exactly as is written? I like your stuff so please keep up the writing. Great question! I would say that God made the creature that became the devil, but I would not say that God made the devil. The devil rebelled for similar reasons as humans did. Anyway, yes, I think that God takes some responsibility for the actions of the devil. In Job it say’s that God tells the devil what to do or not to do, so he even comments the devil to what he can and can not do. What about that? I will write a lot more about Job in the near future.